Losing our mobile device is an increasing concern in the modern world. Anyone that you talk to has either lost a mobile device or knows someone that has. They’ll have stories about leaving a tablet on a tray at airport security, leaving a smart phone in the restroom of a bar or a restaurant, leaving a device in a taxi, or leaving it on the seat in the bus, train or subway. Yet losing a phone goes past the personal hassle. It can also translate into a business risk. The number of mobile devices that are used for both personal and business purposes is increasing; catalyzed as more and more companies adopt a Bring-Your-Own-Device (BYOD) policy. With the loss of a mobile device, not only are the employee’s personal data and contacts lost, but valuable business information, confidential data, and organizational assets are exposed. How concerning is the problem of losing a mobile device? 66% of respondents say they worry more about losing what is on their mobile device than losing what is in their wallet. 50% say they could never replace the content of their mobile device. 19% say they have lost their device and 81% of them say the experience was very disruptive. 20% say they use their mobile devices for personal use only, the rest of them say they also use it for business reasons. What can be done to recover the valuable data stored in a mobile device? The best way to ensure data in a mobile device is not lost when the device goes missing is to back it up periodically and frequently. That is, to copy the data onto permanent data storage media that is kept in a safe place. That could be done with a server in the cloud, a server in the company’s network, a personal computer, an external backup unit, a memory stick, or even a memory card. As we learned from the Ponemon study, 51% of the survey respondents say they don’t take any action to protect their data. Emails and contacts are typically backed up to the company’s email server. But what about photos, videos, data stored in mobile apps, voice mails, audio clips, notes, texts and more? 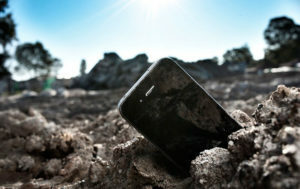 Could a mobile device be recovered? Considering how disruptive the loss of a mobile device is, the best-case scenario is relying on the goodwill of a Good Samaritan who goes the extra mile to return it. He or she will probably try finding the contact information of somebody that can help locate its owner from the device itself. But most companies enforce the use of password and auto-lock functionality to protect their information, leaving the Good Samaritan without options. One easy way to help the finder of the device locate its owner is to place a “Return Label” in a visible place, perhaps on the back of the device. Providing a phone number that connects the finder of the device with somebody that will make the arrangements to retrieve it will solve this problem. But what if the person that found the device is not a Good Samaritan? What if he or she just sees in the device the opportunity to make a few dollars? A used iPhone 5S can be sold on eBay for over $150, an iPhone 6 for over $400, a Samsung Galaxy S7 for over $600, and an iPad Air 2 for over $350. For that money some people could just decide to keep the device for themselves, ship it overseas or sell it on the black market. How much does your company lose when an employee loses a mobile device? Is it just the value of replacing it that counts? Can you estimate the value of the data that is stored in a device? According to the Ponemon study, respondents of the survey assigned an average value of $14,000 to the data in their mobile devices. Respondents chose from values in 10 brackets, here are some of the results: 18% of respondents assigned the data in the device a value between $5,000 and $10,000, 15% assigned a value between $2,500 and $5,000 and 11% assigned a value between $10,000 and $25,000. Think about your data and decide how much you are willing to pay to recover a lost device. Maybe you don’t agree that the data is worth several thousand dollars, but it is at least worth something. What if you could sway even the not-so-good Samaritans? 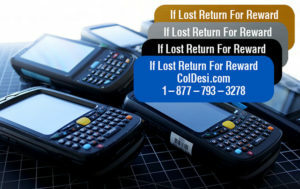 To give them an incentive to return the device to its owner, consider offering a reward on your Return Labels equivalent at least the cost of its replacement. 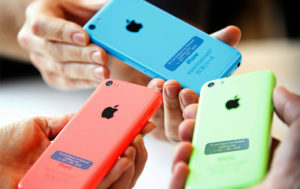 According to the examples above the reward could be a value between $150 and $600, depending on which device you are labeling. In closing, encourage your employees to back up all the data in the devices as often as possible, and increase the possibility of recovering lost devices by adding a Return Label that offers a reward that makes it worth it to return the device. 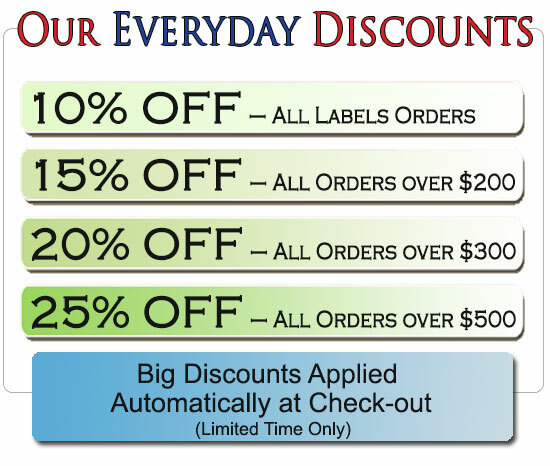 EquipmentIDLabels.com is a company that specializes in cost-effective Security and Return Labels. Visit their web site or contact them at info@EquipmentIDLabels.com or at 1-800-764-6110 for more information. Learn about the variety of materials, options and prices of their labels and how they can help you increase the chances to recover your lost devices.